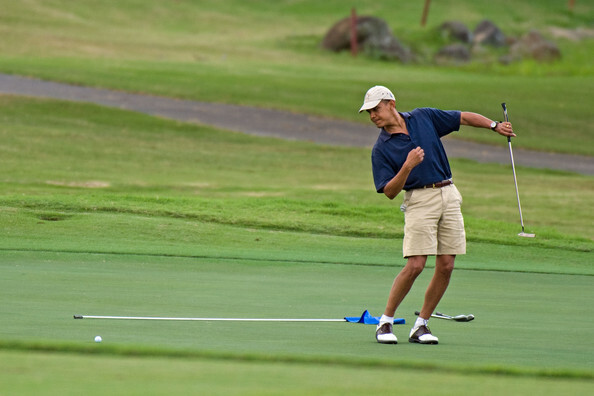 Obama has played over 100 rounds of golf since becoming president. He has taken or sent his family on more vacations than we can count. He has no concern about the fact that he does this on the taxpayer's tab. The General Services Administration threw a $823,000 party in Las Vegas. It is as if the "gods of the marketplace" believe they deserve these extravagant parties, as if they are perks that go along with the job. Defense Secretary Leon Panetta charges the American tax payer $32,000 weekly as he jets to California for the weekend. This administration approved a ½ billion dollar gift to Solyndra before it went bankrupt. When Solyndra went bankrupt the cost was passed on to the American taxpayer. The U.S. Justice Department approved the sale of guns to the Mexican drug cartels knowing these guns would be used against innocent people. Obama has no conscience regarding the sanctity of life. He once said he would rather murder the unborn child of his daughter than punish her with a baby. The president, who promised to unify us and bring us together, is suing the state of Arizona opposing the laws the residents of that great state approved that were designed to protect its innocent citizens from illegal immigrants who might have criminal intent. Illegal immigration is a federal crime. This president sends a message that some crime is acceptable and he gets to decide which ones! Obama is attempting to strong-arm the Supreme Court to support a most unconstitutional measure in Obamacare that would force Americans to purchase something against their will. If the president has nothing to hide, why spend $2 million to cover up his past. Where are the papers he wrote in college? Where are his grades from Harvard? Where are all the classmates or girlfriends who should be lining up for their 15 minutes of fame because they took a class with Obama? Obama said he was the one to unify us but when have we been more polarized. He is quick to stir up racial tension when given an opportunity. He promotes class welfare. I know, the press wants us to think he has an I.Q. of over 200. Does it not seem he was lacking in judgment and wisdom when he made a judgment about his professor friend at Harvard before the facts were in and had to hold a beer summit to fix his blunder. I don't really see the resemblance of the president with Trayvon Martin. Obama again became involved in an issue before the facts were in. Why so much controversy about his birth certificate? If there wasn’t something to hide, would this president not have cleared that up long ago? I don't want proof that Barack Obama, Sr. is his father. I want proof that Frank Marshall Davis was NOT his real father. I'm tired of being told what to believe when the opposite is usually true. Michelle Obama recently attempted to reinforce the messianic traits of her husband. She boldly declared that he has "brought us out of the darkness and into the light." Uh, no, Michelle, that would be Jesus, not Barack! Memo to Michelle: He ain't the Messiah and this ain't the light!